PartPay has taken New Zealand by storm since its arrival in June 2017. Promising interest-free terms and a 6 week repayment period, the payment method is primarily offered by clothing retailers and lifestyle products and services. But, is it a good deal, and should you use it? We've put together a guide to PartPay to explain how the payment method works, the benefits and pitfalls of using it, a comparison to credit cards and store cards, as well as essential 'must-know' facts and tips for using PartPay effectively. How does PartPay work, and where can I use it? Why do so many retailers offer PartPay? It's unknown what percentage of new applicants get declined, as PartPay does not disclose this. Retailers accepting PartPay are primarily online, with a strong focus on larger retailers and those operating in the fashion industry. Examples include of general retailers include The Warehouse, Torpedo7, Warehouse Stationary, 1-day.co.nz and 300+ other retailers. On the PartPay instore website: The website lets you search for a physical retailer (i.e. a store) and generate a voucher for the amount you wish to spend. You can then visit the store and purchase goods or services up to the maximum value of the voucher. Online: Participating retailers will indicate they offer PartPay on their website and the repayment amounts for your basket of items should you purchase them. Once you have decided on your purchase, you will be asked for pay 25% of the value of the items or service upfront, and this can be paid by debit or credit card. You'll then be shown a repayment schedule, which requires three further 25% payments over six weeks, i.e. one every fortnight. PartPay only accepts Mastercard and Visa debit cards and credit cards, and these MUST have been issued by a New Zealand bank. PartPay does not accept bank transfers, automatic payments or direct debits. You can find the scheduled payment dates on the purchase confirmation email which is sent when an order is approved. If you don’t have the email, logging in to the PartPay website will show the details. PartPay send a series of reminders so that you make sure there's money in your account for the direct debit to clear. With regular payments, there is a clear, set, standard and achievable endpoint – in just 6 weeks and your purchases can be paid for. Contrast this to a credit card which rolls over with a 2%-5% minimum repayment. If you want to make a payment before the due date, you can do this manually via the PartPay website. You can make as many early repayments as you want, and if they are successful, the automatic payment will no longer be processed on the original scheduled date. 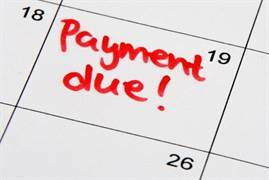 If you don’t have sufficient funds to make a payment and you miss a repayment on the day its due, you will be charged an initial $8 penalty. If you don’t make the repayment within 7 days, you will be charged a further $8 for every week the repayment remains outstanding. The cap of late fees in one purchase is $40, but you may be liable for debt collection costs if PartPay passes on your debt. The length of time you have been using PartPay - new purchase approvals are much tighter in the first 6 weeks, and you will be able to make a second purchase using PartPay once you've paid your second installment on your first purchase. 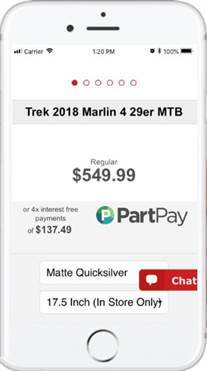 The value of the order you are trying to place - PartPay has a limit of $1,250 (although it states customers with a proven history may be able to see this increased). A history of late payments - PartPay is clear in that late payments not only attract penalties, they also lower the prospects of being approved for a new purchase. We see PartPay as an easy way for the non-financially minded to buy things without getting trapped in long-term credit card debt. However, a growing number of young people are adverse to credit cards and store finance, meaning PartPay could provide an alternative short-term credit solution that doesn't aggressively leave customers in debt. Take Maria. She works part-time and studies at university. She has $200 in her bank account and is paid $200 a week by her employer. She buys $200 worth of clothes using PartPay knowing she’ll pay $50 a fortnight for the next 6 weeks after she makes an initial $50 payment. She believes that the $150 balance owing will be more than covered by her weekly income. She keeps the $150 in her bank account knowing she can make the $50 PartPay repayments when she gets paid. There are many people like Maria. The attraction of PartPay is the ease of paying off a purchase without incurring interest charges like a credit card would charge if you’re late. A growing number of people, and especially 'millennials', are wary of debt and prefer to make repayments in installments rather than spend the entire balance upfront, or face one potentially sizable end-of-month bill from a credit card. 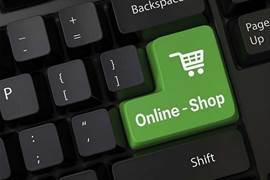 ​Why do so many retailers offer PartPay? Retailers like PartPay for many reasons. 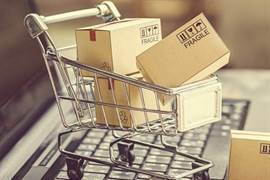 Firstly, for online shopping, retailers offering PartPay see fewer customers abandoning their cart at the checkout because the upfront cost can be spread out over 6 weeks which makes it more affordable and a one-off upfront payment. Secondly, shops and online retailers already have to pay credit card companies a fee of a purchase. Like a credit card company, PartPay charges retailers to offer their service (we estimate this at around 5% of the purchase price), as they cover the cost of purchase. The benefits of PartPay for a retailer is that it brings a new group of people who may otherwise not be willing or able to make a purchase. Thirdly, there is a theory that with PartPay offering a no-interest-ever payment plan, retailers will attract more customers and increased turnover will subsidise the PartPay fee. PartPay has many customers who base their purchasing decision on the smaller repayment number, not the upfront cost. 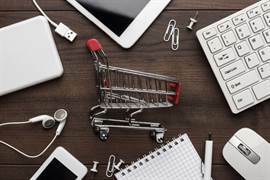 This perhaps is a new way of looking at shopping, and one that PartPay (and its pay-by-installment rivals such as Afterpay, Oxipay and Laybuy) dominates over conventional payment options. ​Credit cards, store cards and long-term finance cards are designed to build up debt. Our guide to how credit card work explains the mechanics in more detail. Compared to cards, there is a lower chance of building up debt with PartPay. ​Many people get into trouble with a credit card because it’s more difficult to keep track of purchases. Because credit cards are accepted nearly everywhere, they can easily be used for coffees, a night out, an indulgent purchase alongside routine expenses. PartPay instead forces shoppers to understand the fortnightly repayment terms upfront, and a series of follow-ups (see below) train the customer to make on-time repayments. Credit card and other long-term finance companies, on the other hand, make a lot of money when bills rollover as interest is charged which can compound leading to a debt problems. Furthermore, credit card minimum repayments range between 2-5% for a bill, whereas PartPay requires 100% of the balance owed to be repaid after 6 weeks. The use (or misuse) of credit cards and similar finance options have become so commonplace that a significant proportion of New Zealanders don’t pay their balances off after one month, and quickly incur interest. As long as you make the minimum monthly payment, the card-issuer won’t complain. You can also re-spend the money you’ve just paid off. PartPay, in contrast, requires you to apply to make a new purchase through its platform and sends you a series of reminders and follows up for repayment well before the balance is due. PartPay isn't like other 'interest free' finance options such GEM Visa and Q Card, where such companies offer '0% interest and zero repayments' knowing that if you don’t make any voluntary repayments before the free interest period ends, you will be smashed with a lot of interest charges at the end, as well as annual card fees. ​How is PartPay different from a credit card? You have a total of 42 days to repay but you'll need to make regular fortnightly payment of 25% of the purchase price over 6 weeks, as well as pay 25% of the purchase upfront. Credit cards can offer up to 45 to 55 days of interest-free terms on new purchases, with the balance due in full at the end of the 45/55 days. PartPay caps its late fees at $40 per order, whereas a credit card will charge you 15%-30% interest per year and this can be for as long as it takes you to pay it off. 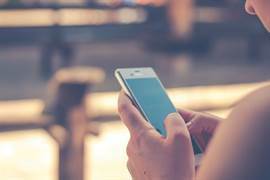 PartPay makes it clear that after 5 weeks of any payment remaining unpaid, your balance will be referred to a debt collector and your credit history affected. PartPay can be approved instantly, whereas with a credit card you’ll need to apply, be credit checked and then wait for approval which can take weeks. You can use a credit card as long as you have the available balance, whereas PartPay purchases may be declined because their algorithm decided so. PartPay advises that if you have a history of late payments then future purchase limits will decrease. As an example, if you were late on a recent payment, your limit at a retailer may drop from $500 to $300. PartPay gives applicants the option of being instantly approved with a name, address, date of birth and driver licence ID being required. The purchase limit for a first purchase is unclear - we estimate it somewhere between $400 and $750. At any time, there is a maximum purchase limit of $1,250. Contrasted to a credit card application where you have to apply, wait for it to be assessed, wait for the credit card to be issued and delivered etc., PartPay is relatively near-instant. PartPay is limited to 350+ retailers, most of which are online. As a result, PartPay isn’t an alternative to EFTPOS or credit cards. Instead, it acts as a payment method if you are shopping for specific items. And while partners include The Warehouse, Torpedo7 and 3 Wise Men, these and 80% of all PartPay retailers are "online only" meaning you can't use PartPay in their physical stores unless it expressly allows it. PartPay does supply evidence of good repayment behaviour to Centrix, a credit rating agency, for credit scoring. However, their fine print is clear in that they do reserve the right to perform credit checks and to report negative activity on your account to credit rating agencies. So if you do miss a payment, not only will be charged a fee but you may have this noted in your credit history. Conversely, a good repayment history can result in an improved credit score. PartPay is usually offered as a payment option for retailers selling clothing, makeup and jewelry. There is a risk that the biggest users will be consumerist people chasing the ‘latest’ stuff. Impulse buying could lead users to over-extend themselves, so proper money management is essential. PartPay has advised that the average age of their customer is 37 years old. You could get into financial strife by having too many repayments at once. 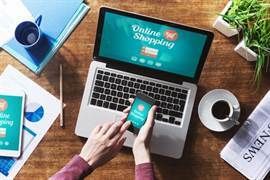 This will arise if you’ve made multiple purchases with different shops that overlap, meaning repayments will come out of your bank account continually. You will need to be able to plan your repayments and manage your money – miss one, and you’ll be charged a late fee, but you’ll also need to make sure you can meet all the other payment. Financial planning is essential for anyone regularly using PartPay. Unlike many credit cards, PartPay doesn’t let you spend up large before you have proven you can repay what you have already purchased. Most customers start off with a $500 to 1,000 limit, but it can be lower. PartPay not legally allowed to charge interest. They make money from your purchase by charging the merchant a fee for using the service, as well as late fees for anyone who doesn’t make a repayment on time. A retailer is not permitted to charge a ‘PartPay service fee’ or similar. PartPay is merely a payment option, and does not permit partners to offer an 'PartPay price' that is more than what anyone else would pay the retailer. There is some confusion among New Zealanders that PartPay offers a layby service, where you pay installments in advance of receiving the goods or services. PartPay is the reverse of traditional layby - you pay 25% during the purchase and the remaining 75% over three fortnights. As PartPay accepts credit cards as a method of payment, there is a risk that the debt you incur is not paid off. PartPay purchases can therefore become credit card debt at a later date if it is not promptly paid off. 1. Plan your purchase day - make purchases on your payday or 1-2 days after payday when you know money regularly comes into your bank account. This way you won’t be caught out with ‘insufficient funds’ and will always avoid any late fees. Repayments occur exactly every two weeks and one day after purchase date, usually around 10am - its less difficult and budget when you have 1 to 2 repayment days than 8 to 14. 2. Shop around for the best price on an item – don’t assume that a PartPay retailer offers the lowest price. Compare retailers to get the best deal. If the retailer you pick already has the lowest price you can find, and they offer PartPay, it’s likely to be the best option. 3. Make sure you know you will be able to make the repayments – because PartPay takes direct debits, not budgeting could mean your bank account is cleaned out leaving no money for regular bills and food. 4. Have some 'rainy day' money set aside - PartPay won't work if you currently need to pay for a big purchase and don't have another means of credit. If possible, set aside a sum of money that could pay for a $500 or $1,000 purchase. If something unexpected comes up and you find yourself short of money due to any reason, your PartPay commitments may be compromised. New Zealand company law does not require PartPay to disclose their financial statements, so we cannot state what percentage of their revenue comes from merchant fees and what comes from late fee income. We do not know the default rate on repayments either. PartPay is here to stay, and this means more and more retailers will offer the payment option. If you budget carefully, plan purchases and PartPay continues to closely assess your credit risk, the payment option can work to your advantage. We encourage shopping around for a deal - just because one retailer offers PartPay doesn't mean it's the overall best deal. PartPay, like any payment method, gives shoppers full consumer rights - if you return items, you will receive a refund, although this may not processed on the same day. PartPay is an excellent alternative to using a credit card for non-essential purchases. A credit card may seem easier and more flexible, but the billing process is less easier to manage. PartPay approves you per-purchase, although overall responsibility to make the repayments falls on the customer.